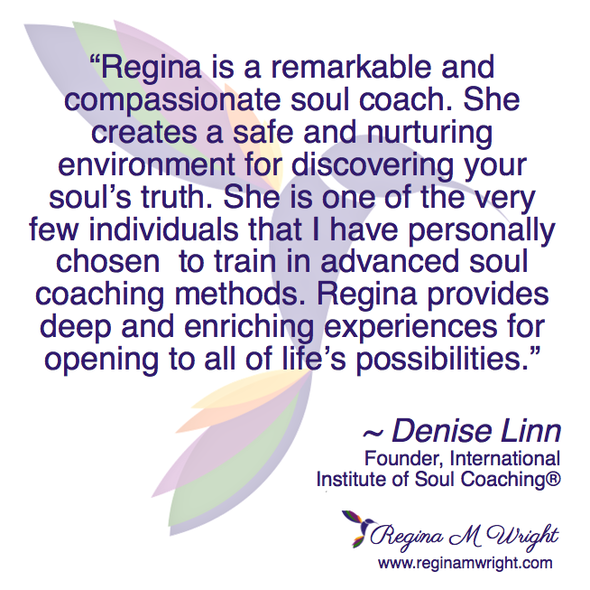 As a Certified Soul Coach, I have been personally trained with author/teacher Denise Linn to deliver various Soul Coaching programs. 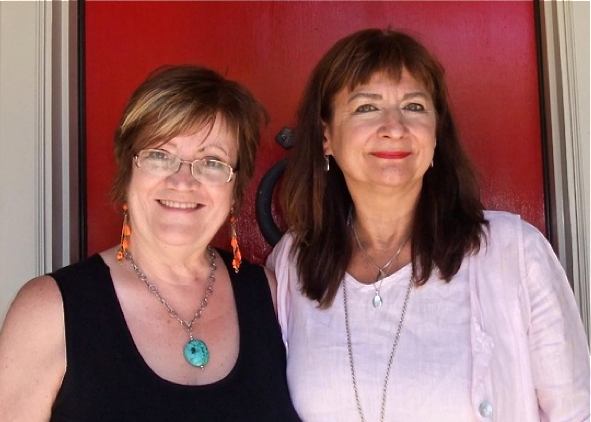 The core of Soul Coaching is a remarkable 28-day program which is a powerful journey of cleansing, connection, inspiration and transformation - a clearing away of inner debris so you can discover your own inner-wisdom. This unique program will help you connect with your intuitive self, release blockage that are keeping you stuck, identify your purpose, empower your actions, reduce stress and anxiety, align your every-day life with your inner authentic self, as well as increase the energy harmony, confidence, clarity and joy in your life. The 28-day program is delivered over a period of six-weeks with six in-person meetings. The first meeting is designed to prepare and motivate you for the main four weeks. 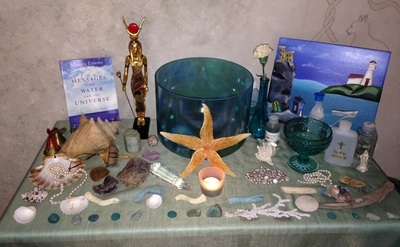 During each of the four weeks you connect and use the power of the elements of air, water, fire, and earth to help clear mental, emotional, and physical clutter. You will receive a workbook with three levels of activities for each day and also a daily meditation e-mailed to you. Daily e-mail support is also available. 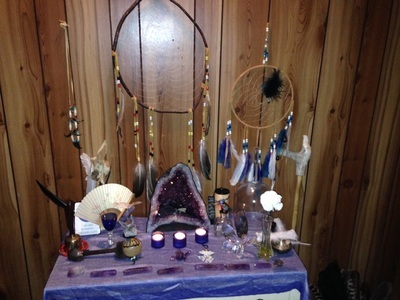 During the weekly meetings you will be led on special guided meditations (Soul Journeys) - make creative projects such as Sacred Soul Coaching collages and Spirit sticks - receive energy hearings, etc. It is a rich and varied program! click here to contact Regina now. Did you know that sometimes the answers to our most pressing problems, fears, and phobias do not reside in our current lifetime? In addition, many of our present talents and innate abilities have been nurtured in prior lives. It has been significantly documented by prominent psychiatrists, psychologists and past life regression experts that reincarnation does, in fact, exist. The basic premise of reincarnation is that we are infinite souls who reincarnate to evolve our understanding and wisdom. Whether you believe in reincarnation or not, it really does not matter! You will still reap benefits from deeply relaxing and “imagining” a past life scenario. Do not discount the power of imagination, as it is the key to accessing the inner realms of the soul. 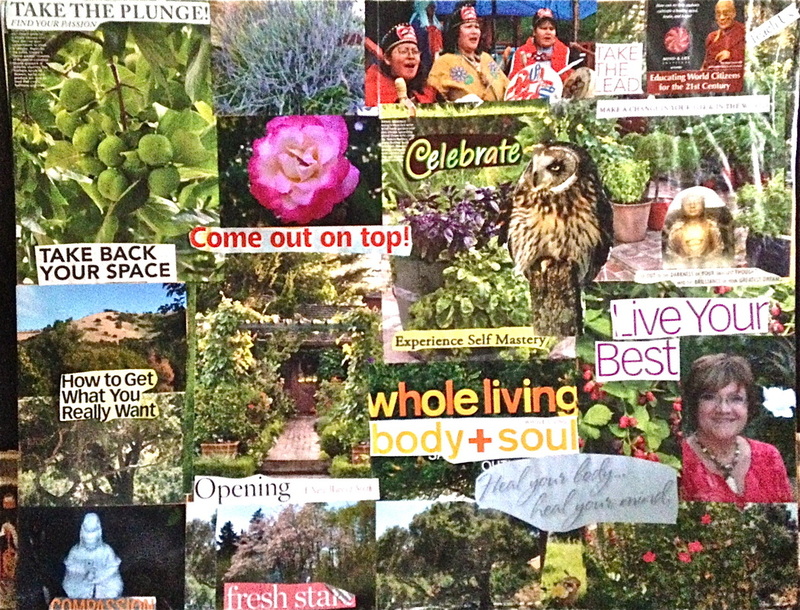 Often, what we “imagine” is an actual metaphor for a past life experience. The insights obtained in a past life journey will inform and guide you in this life. During a guided meditation, you will tap into roles your soul may have assumed in past lives. Awareness of past life beliefs, blockages, challenges, gifts or talents, can facilitate wonderful changes in your present life. In a past life journey, you have the ability to literally re-write your history, change an unpleasant outcome, as well as change beliefs about yourself and your circumstances! The insights and awareness gained in a past life journey help to create positive results in ALL directions of time: past, present and future. In the unseen realms, linear time does not exist. 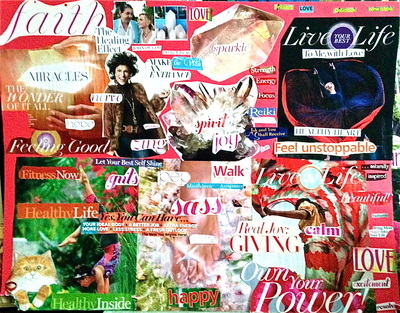 Soul Coaching Collages are a similar to Vision Boards, Manifestation Maps and Dreams Boards but they are so much more. As a Soul Coach I guide participants on special Soul Journeys to find what your "soul" wants you to know and the answers come from the deepest part of you and goes beyond material needs and what you think you want. 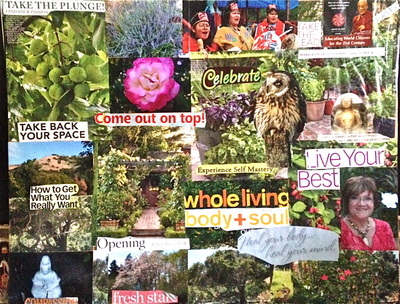 After completing the collage, I guide participants in a special ceremony to activate the energy of the collage. 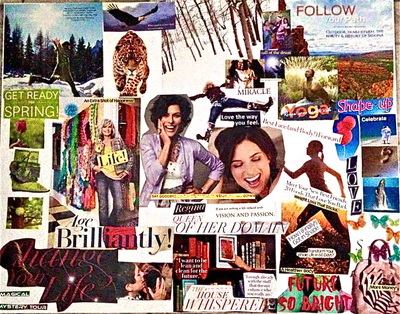 The process also includes unique ways to interpret the meaning of the collage and how to work with the collage to get the most out of it. Do you find yourself held back in life, and not sure how to take a step forward? Is there too much stuff in your home, but you don’t know how to clear it? 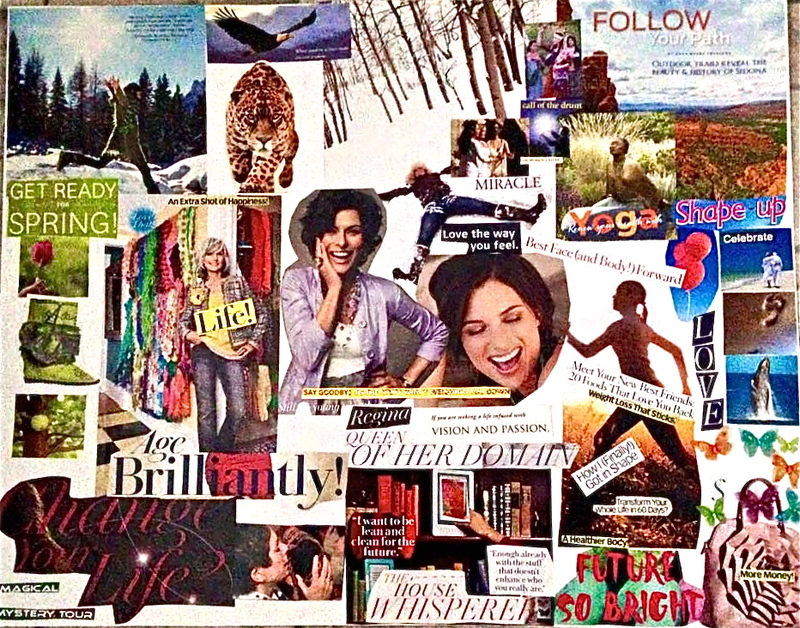 Would you like to clear the patterns and subconscious beliefs that create clutter in your life? 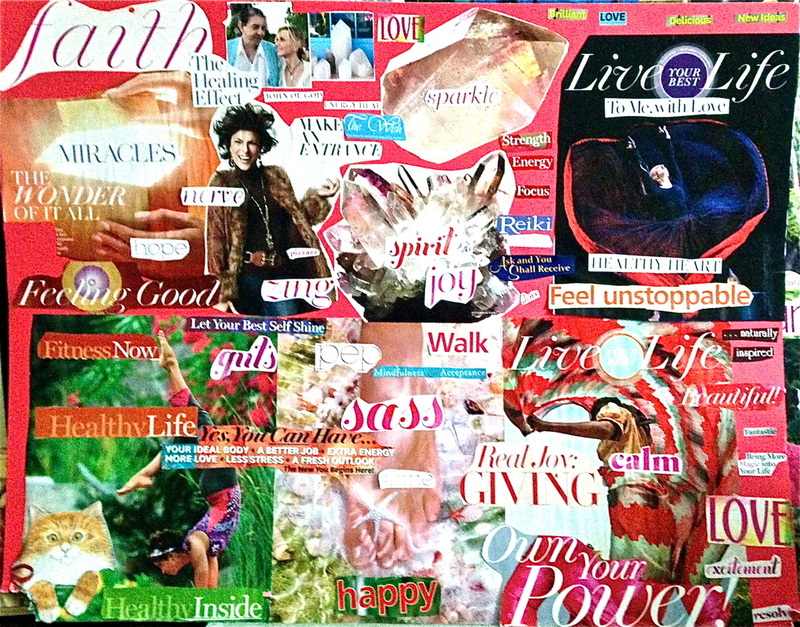 Are you ready to take charge of your life, and live with more clarity and grace? 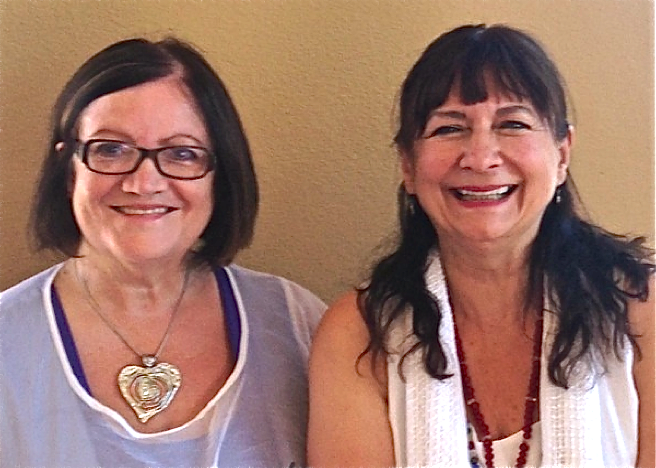 As an Advanced Soul Coach, I am offering an exciting new program called the Soul Coaching® Clutter-Clearing Quest, which is a chance for you to clear out the inner and outer clutter in your life. While this will be focused on the physical clutter that is in your home, you will find that in clearing the clutter you will be able to release what you no longer need, both physically and emotionally, clearing out the fears that have held you back from living life the way you want to. Over 21 days, you will we will meet four times in person and you will receive daily check-ins via email or Facebook to support you on your journey - during this period you will learn some effective ways to clear clutter, and begin to see patterns of why you keep clutter and learn how to clear them. Finally you will learn how to create a home that you love and that is really for your soul. We spend one quarter of our life asleep! Not only are we resting and regenerating our physical bodies during sleep, we are also entering the realm of dream time, a gateway into our inner psyche and other dimensions, where we heal, send healing to others, connect with loved ones in spirit, solve problems and so much more. 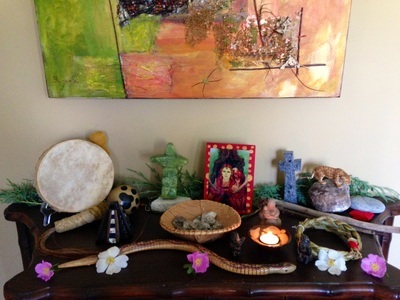 Ancient cultures all over the world revered dream time, and used their dream messages to heal, counsel others and make important decisions on behalf of their communities. Dreams were encouraged, discussed, shared, respected and honored. It is time to bring back our respect and reverence for dream time. Learn what dreams are (from the viewpoints of scientists, psychologists, shamans, and mystics). Understand how to recall dreams. Discover what you can use to aid the dream state, such as special stones, essential oils, herbs, bells, and symbols. Learn feng shui and space-clearing secrets to promote dreaming. Develop the skill of astral travel and lucid dreaming. Use dreams to connect with your angels, animal totems, and master guides. Connect with loved ones who have passed on. Have prophetic dreams and know if your dream is a true "seeing." Activate special talents and abilities. Use your dreams to overcome fears and phobias. 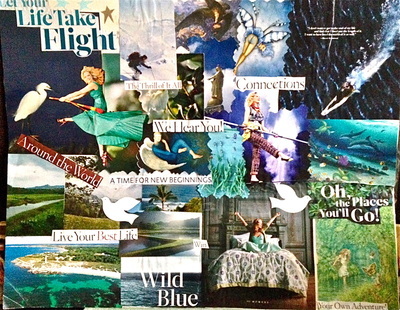 Activate your Dream Shield and meet your Dream Guide. Learn the most common dreams and their meanings. Bell clearing techniques for deepening dreams.